Diamond Pet Foods is seeking applications for a safety manager position in our Gaston SC plant operations. This position will be responsible for management, coordination and implementation of the company’s comprehensive safety & health program, including compliance with applicable federal, state & local safety & environmental regulations etc. No overnight travel is required. This position will report to the Corporate Safety Director & Plant Manager on-site. The successful applicant must have a BS degree in a safety related field, and/or 3 years of safety experience, preferably in manufacturing. 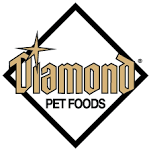 Diamond Pet Foods has a complete benefit package which includes: Healthcare, Vision, Dental, 401-K & Company Paid Life Insurance & Long Term Disability.